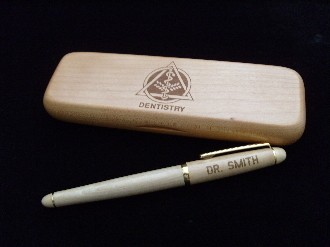 This Dentist designed maple pen and box is very nice. The pen uses standard cross style refills. Allow 2-3 weeks for delivery. Max of 14 Characters.